Located on a sprawling ten-acre property, this recently renovated cottage needed a bathroom that would complement its rustic style, yet still be fitted with contemporary fixtures and modern amenities. 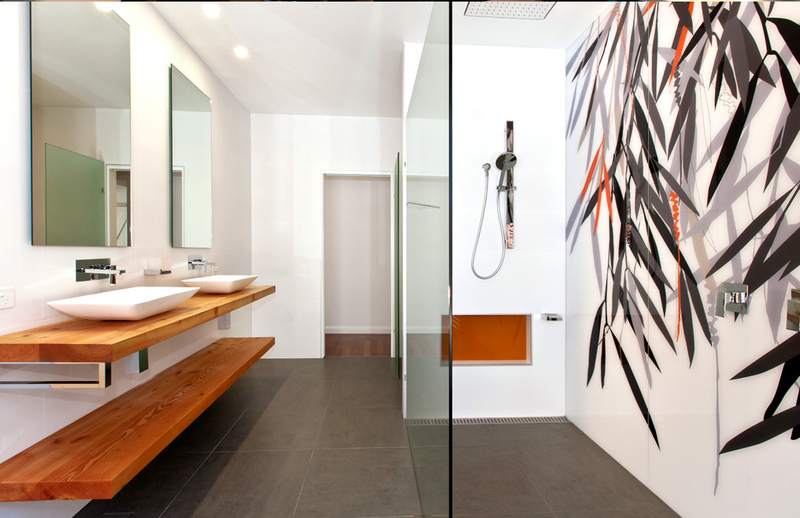 It was also important that the bathroom provide the clients with a comfortable, relaxed and warm environment. An eclectic mix of materials and finishes has been used throughout the design. The vanity has been built using recycled timber from the original Oregon roof rafters and houses two stone basins, allowing two people to comfortably use the bathroom at the one time. Opposite the vanity, the shower features a custom-made glass screen as well as a hand-held hose and rainshower, which can be used in unison. 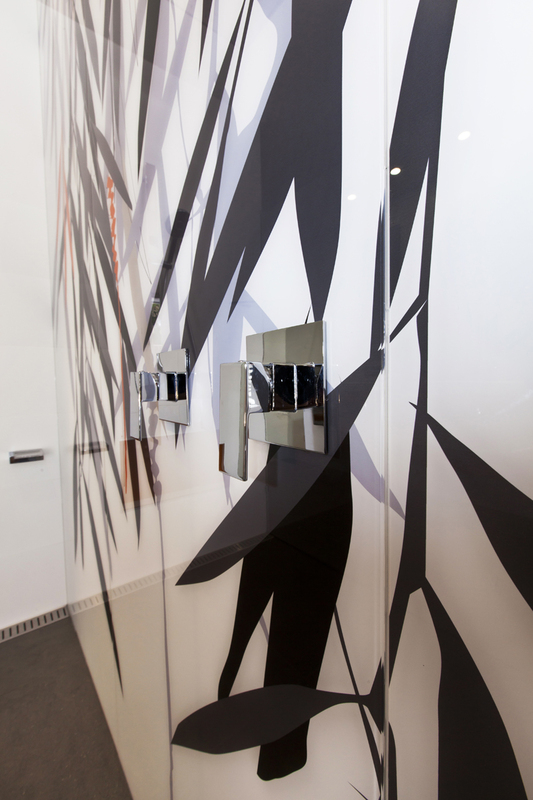 The focal point of the bathroom is the stunning feature glass wall, which was designed by Andrea Partridge from Peartree Designs in consultation with the client and Jason Robson from WaterArt, who was then able to print the design onto glass. 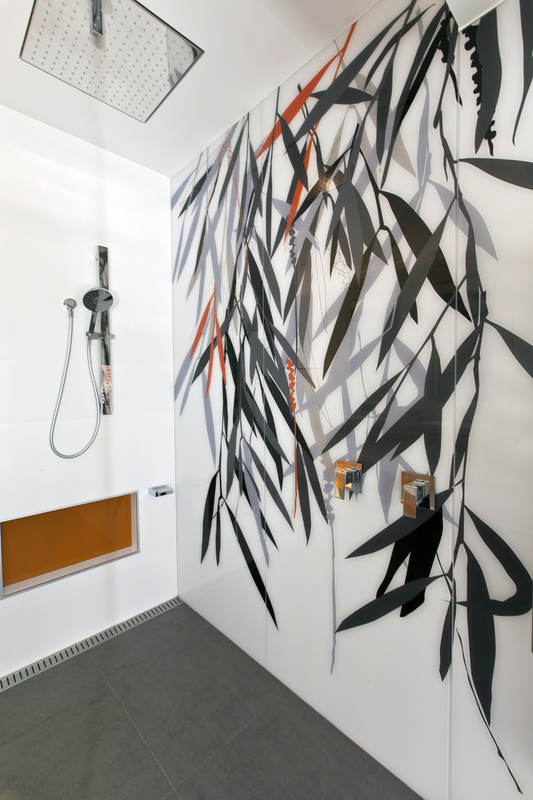 Based on a photograph taken at the property, the cascading gum leaves beautifully complements the bathroom’s aesthetic and rural surrounds. 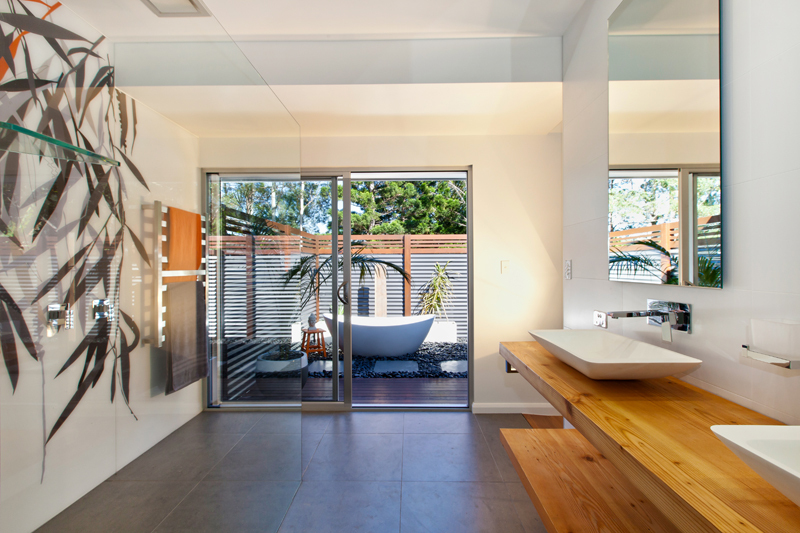 The adjoining outside bathroom blends seamlessly with the interior bathroom space and is a remarkable achievement. The clients felt a strong affinity with the outdoor bathrooms of Bali, but wanted theirs to look and feel distinctively Australian. A combination of rustic finishes has been used to achieve the desired look, including a glass wall, exposed brickwork and corrugated iron from the old cottage roof.